Salt Lake City, UT--Rugby Utah (RU), the USA Rugby recognized state organizing body for men’s rugby, and Utah Youth Rugby (UYR), the USA Rugby recognized youth and high school governing body, announced today that they are partnering to host the Youth and High School State Championship Finals and the Rugby Utah Select XV Major Rugby Championship (MRC) match against the Austin Huns at the University of Utah in Salt Lake City, UT on May 13th. The partnership will see all UYR championship finals being played at the U of U Soccer Field beginning at 8am on May 13th with the RU Select XV men’s team facing the Austin Huns in a hotly-anticipated MRC friendly at 2pm MT. Due to the growth and size of the UYR State Championships all other UYR state playoff matches will be hosted across town at the Regional Athletic Center in SLC, UT. The UYR State Championships is contested by 53 youth and high school teams across 9 divisions over two weekends. All teams play through to the final day, with losing teams in the playoff rounds dropping down to consolation brackets. The Division I Varsity Boys brackets are particularly competitive with 9 nationally ranked teams competing. In the Multi-School bracket the likes of West Valley Warriors (# 4), Genesis Rugby Club (# 12) and two time National Champion United Rugby Club (# 17) will battle it out for the Utah State Champion honors. The Single School Division boats no less than 4 nationally ranked teams in Snow Canyon HS (# 20), Highland HS (# 21), Herriman HS (#22) and East HS (#28). 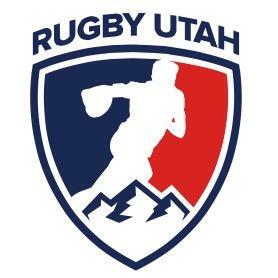 Rugby Utah will close out its 2017 MRC ledger against the Austin Huns, who boast the first professionally set up men’s rugby programs and who have hired Eugene Eloff, Danie de Villiers, and Pedrie Wannenburg as the new Elite/D1 coaching staff. With a 12-3 record in 2017 the Austin Huns won the D1 Cup in the Red River Conference, a first in the Huns 45-year history, and outscoring the competition by an average of 33 points per game. The team has been led by captain and center Lomani Tongotongo and USA Eagle Hanco Germishuys who works from the flanker position. The Austin Huns look to compete for their first D1 national championship in Arizona with a battle against Bay Area power San Francisco Golden Gate (SFGG) on May 20th. All games on the 13th, starting with the Select XV vs. Huns at 2pm, will be streamed live on Rugby Utah’s and Utah Youth Rugby’s Facebook and website pages respectively. Admission is $5 with advanced purchase online and $7 on day of game. Kids under 12 are free. Veterans and elderly are $5. For more information please go to www.RugbyUtah.com or www.UtahYouthRugby.org. More news and updates can be found by following both entities on social media.